October is here and this month’s collection is absolutely enchanting with plenty of creepy elements to develop a great scrapbook layout. Today’s layout comes straight from the Authentique blog. 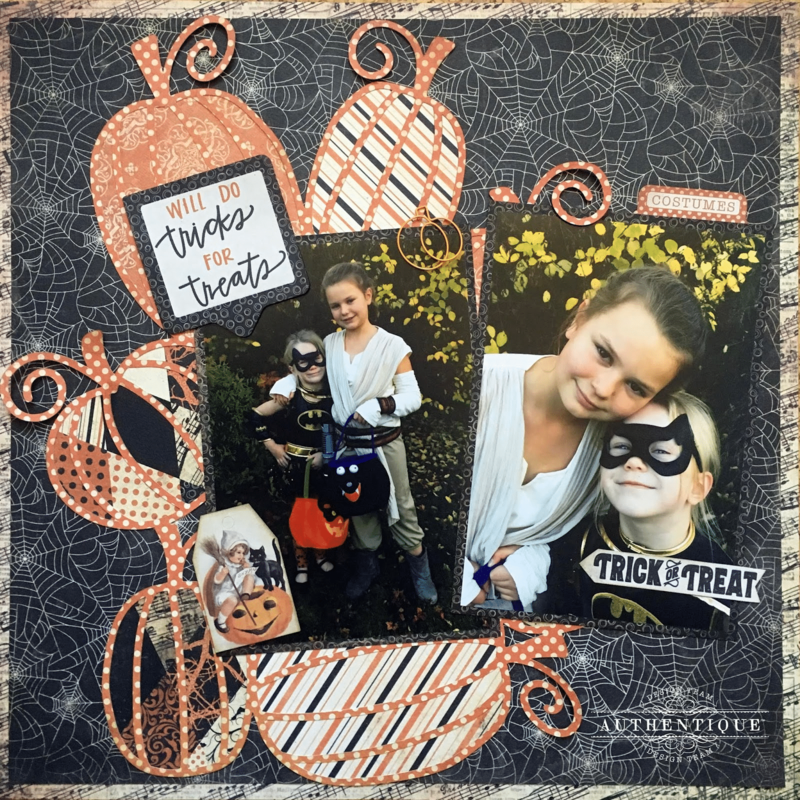 One of their talented designers created a beautiful Halloween layout using the Nightfall kit and it’s so wonderful, we had to share! I started by pairing Nightfall Two and Four for the background papers. I was having a blast playing with my Silhouette 3, and used the Pumpkin Background as the main feature. Each of the pumpkins was backed with a pumpkin by the same Silhouette Design artist in varying papers. I liked the contrast of colors and patterns of Nightfall One and Three. By pairing up stripes and dots, and a little inking, each of the pumpkins looks a little more interesting. Smaller elements from the Nightfall Details stickers sheet added extra interest. I loved this adorable sticker with the cat, since the colors matched the costumes of both girls. Check out our blog for more inspiration from this month’s kit at blog.scrapbookingstore.com and on our Instagram @ScrapbookingStore.